We provide a 10 year warranty as standard. We also offer a 10 year insurance backed guarantee with every installation. So you have peace of mind/assurance the service and products you receive are of a high standard and extremely reliable. Our 10 year warranty is subject to our terms and conditions. Why Our Warranty is Different. The peace of mind and trust of our customers is as important as offering the best deals for our customers. So here at Crown, we promise to offer the swift and efficient replacement or repairs of any damaged products. In the event you have an issue or a fault with one of our products, please don’t hesitate to call us and someone from our service department will come out to you ASAP to rectify your issues/concerns. Which of our products have this warranty? All of our products include a 10 year warranty.  From our windows to conservatories, here at Crown Windows, we are committed to achieving 100% customer satisfaction and maintaining our high standards.